Gone in an evolutionary flash. somehow. NIMB, the warning close to home. The Rolling Blog Tour Stops Here… for a week! To see my choices, scroll down. Enjoy and happy writing! Gathering Voices, my lit.-on-air radio show is heard on alternate Tuesdays at 6:30 AM and PM on CHRW, Radio Western, 94.9 FM and online. For upcoming programs and archived shows, see: http://chrwradio.ca/content/upcoming-episodes-gathering-voices. The complete schedule is up now for the rest of 2014 on https://pennkemp.wordpress.com/2014/07/09/gathering-voices-on-radio-western/. AlvegoRoot Theatre will be directing and producing my play, “Heart P’Art” in 2015. The play portrays my father, painter Jim Kemp, and London’s arts community of the mid-20th century. It will be directed by Adam Adam Corrigan Holowitz. Produced by AlvegoRoot Theatre Company. Jim Kemp’s paintings were in the London Visual Fringe, June 3 – 14, 2014 at The Arts Project, http://www.londonfringe.ca/schedule/visual-fringe‎. Videography for the play is by Dennis Siren: https://www.youtube.com/watch?v=7JoNJmilHnE&feature=youtu.be. Thanks to The Grand Theatre for a OAC theatre reserve grant for writing. “Homeward Bound”, another take on this play will be part of the Playwrights Cabaret at the McManus Theatre in London, January, 2015. We will be workshopping this piece at the Grand Theatre in the Fall. “Heart P’Art”: This celebratory play about London painter Jim Kemp’s last week takes place in University Hospital. Dying in our culture is passed over in denial, but the gathering family experiences conflicting emotions ranging through memory, humour, and lament. A resolution in ritual acknowledges the importance of this most profound life passage. This play celebrates art and London’s artistic community mid-twentieth century and the spectrum of a life lived full-throttle, with humour. Upcoming Events are posted on www.mytown.ca/pennletters. Poems are posted on www.mytown.ca/pennkemp. 2) How does my work differ from others of its genre? Why do I write what I do? See Stan Burfield’s interview with me on http://www.londonpoetryopenmic.com/season-2-interviews–poems-only-from-dec-4th-2013/1 and Kathryn Mockler’s interview with me on http://www.therustytoque.com/rusty-talk/penn-kemp-poet. 3) How does your writing process work? This summer, I am writing poems for Dream Sequins. Five of these poems are up on http://www.londonpoetryopenmic.com/season-2-interviews–poems-only-from-dec-4th-2013/1. I write best early in the morning, when dreams are still vivid. I’m finding it tricky to convey the bizarre narrative of dream into a language that reflects the adventure but is not limited to a straightforward recounting of the dream. 4) And here are the Guest Bloggers for Next Week’s Tour! Three of my favourite activist writers! On their blogs, Monday July 21, they will respond to the questions on writing and introduce new bloggers. 1. My first guest is the indefatigable Edward Pickersgill. His Sanity Claws News Network Magazine is on https://www.facebook.com/sanityclawsnewsnetwork: a c(l)ause for sanity. Edward Pickersgill, aka John “Underling” Doe, born in Glasgow Scotland, has been in Canada since 1957 at age 12. Long an anti-poverty activist, Ed oversees the 40 Baker Street community centre in downtown Guelph ON, Additional information is available via the usual highly suspect search engines. 2, I’d like to introduce you to my friend, Sophia Bonnie Wodin. Sophia is a spiritually oriented therapist, writer and teacher who delights in weaving together strands of the natural, physical reality with the journey to spiritual and emotional empowerment and wholeness. Check out her beautiful www.sophiabonniewodin.blogspot.com. 3. My third guest writer is Stan Burfield, who does yeoman service for poets in London ON, my home town. 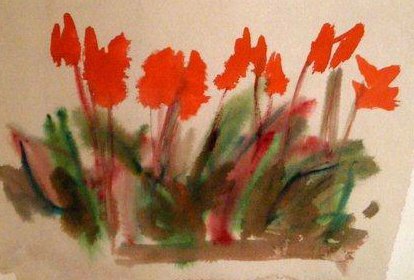 Stan is a farm boy from Alberta, one-time adventurer, reporter, florist, currently organizer of London Open Mic Poetry Night and part time support worker for people with autism and developmental disorders. Take a look at his blog on his very informative site, http://www.londonpoetryopenmic.com/. Next Monday, July 21, check out Stan’s, Edward’s and Sophia’s own Blog Tours. They will introduce upcoming blogger writers there, and then! 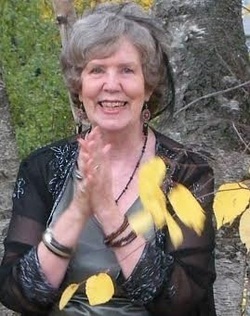 Kathryn Mockler’s interview with me on http://www.therustytoque.com/rusty-talk/penn-kemp-poet. London, Ontario performance poet, activist and playwright Penn Kemp is the 40th Life Member of the League of Canadian Poets. This year she received the Queen Elizabeth 11 Diamond Jubilee medal for service to the arts. Penn has published twenty-five books of poetry and drama, had six plays and ten CDs produced as well as Canada’s first poetry CD-ROM and several award-winning videopoems. As the inaugural Poet Laureate for the City of London, she initiated and judged Poetry in Motion and the National Haiku Competition. As Canada Council Writer-in-Residence for University of Western Ontario for 2009-10, her project was the DVD, Luminous Entrance: a Sound Opera for Climate Change Action, Pendas Productions. I write to articulate the moment, to puzzle out feelings or incidents I can’t figure out. The best poems come, though, when I follow the language of a striking phrase. Sound leads me. PK: I write every day, in the morning, in the little room that was my childhood bedroom. It looks out on a small greenhouse, a source of inspiration and delight all year. The green throughout the winter keeps me from getting restless and hungry for sun. Often in the morning as I transcribe dreams, they become poems. They’re not usually very good poems so they don’t see the light of day beyond a file in my computer, but they keep the energy of poetry flowing. The problem I have with them is that they are too narrative and I feel I need to stick to the literal story line that the dream gave me. I revise constantly, even when I am performing, pencil often in hand. Reading the poem in front of an audience allows me to really hear what works…and what does not. PK: The funniest literary moment happened this year on January 11 at 8.30am. As Poet Laureate for the City of London, I was formally addressing 1200 folks at the Mayor’s STATE OF THE CITY ADDRESS” at the London Convention Centre. The topic was “Believe…”. Well, I couldn’t believe the three very audible interruptions! They turned out to be the complaints of a Russian robot. It was squawking in Russian that its battery was wound down. I kept on talking: you can see the situation on livestream. PK: I wish I could say that I’m finishing a manuscript and I am, slowly, but the times demand I continue as an activist in protesting federal budget cuts. So I’m organizing a reading Saturday, September 29, 2012, 2-4 pm. “100,000 Poets for Change” Reading for Culture Day. Landon Public Library (downstairs), 167 Wortley Rd., London, ON. Our free afternoon reading will be part of an international event which will take place in many cities, in many villages and in the countryside all over the world, at the same time and date. Jack in the arts (that guitar, that piano, that revised song!) the role of the arts for him. As Jack would remind me, he was a proud member of the Writers’ Union! I’ve just collated all his emails to us and they include some interesting discussions. They’re bitter-sweetly sad to read now, given all we have lost in Jack…but of course we continue in hope. I’ll also be interviewing folks for my radio show, Gathering Voices. When Jack Layton died last August, he was given a state funeral. Roy Thompson Hall was packed; the lineup of artists celebrating Jack stellar and the street theatre outside was sublime. I would like to commemorate Jack’s birthday in July and the first anniversary of his death with two e-shorts on Amazon.ca. I believe such pieces would be timely and widely read, given the nation’s outpouring of love and sympathy. Jack Layton’s support of and interest in the arts in Canada underlay his politics. In his long municipal and federal political life, he always included and encouraged artists to become activists. My working title is Jack Layton: Art for Action! On Saturday, August 4, I’m participating in The Summer Soirée Festival of the Arts, Aeolian Performance Hall, London, Ontario. Afternoon workshop Gary Diggins, Jocelyn Drainie and me on The Healing Nature of Sound and then an evening performance, Sonica Hypnotica. Chris Meloche and I will kick off the evening event with new work in progress from The Electric Folklore Machine. 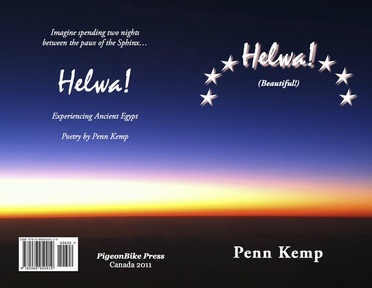 PigeonBike Press has launched Penn Kemp’s chapbook of Helwa! alongside the release by Pendas Production of Penn Kemp’s CD, Night Vision, which includes Helwa!. Since her first book was published by Coach House Press in 1972, she has been pushing textual and aural boundaries, often in participatory performance work. Many of her recent CDs are what Penn terms “Sound Operas”: poetic narratives that weave sound, imagery and music in the counterpoint of many voices. Working across a variety of cultural practices to engage her audience, she hosts an eclectic literary show, Gathering Voices, archived on CHRWradio.com/talk/gatheringvoices. Having performed in festivals around the world, most recently in Britain, Brazil and India, Penn lives in London Canada, where she edits poetry for Pendas Productions, a small poetry publisher she and husband Gavin Stairs run. Penn has been heralded by the Writers’ Union as a “one woman literary industry”. Between Between is a short film that concerns the process of mourning, translating some of Penn Kemp’s performance poetry into visual imagery for a compelling, evocative portrayal of that state. Between Between examines the experience both of the mourner and (perhaps) of the newly dead. A Penn Kemp and Dennis Siren collaboration. Penn Kemp is one of two featured poets at London Open Mic Poetry Night`s special April 16th event in celebration of National Poetry Month. The reading was at the Landon Branch Library in Wortley Village. Penn Kemp will be launching her latest collection, from Dream Sequins, at the reading. A batch of her poems from the chapbook follow the interview below. Penn Kemp has published 26 books of poetry and drama, and has had six plays and ten CDs of “sound opera” produced. Most recently, her play The Dream Life of Teresa Harris was produced at Eldon House. Her latest publication is the 2013 anthology, Jack Layton: Art in Action. She currently edits poetry for Pendas Productions and hosts her Lit-on-Air program, “Gathering Voices”. Penn lives with her partner Gavin Stairs in London. Having just come from Dr. Ross Woodman’s funeral, I’m thinking of all the dimensions of possible expression and articulation that his shamanic presentation inspired. Ross was a professor of Romantics, whose Honours course I took in 1963. He opened my eye and ear to the kind of oracular poetry that was akin to prophecy, the kind that sprang directly from the Aeolian harp or the Delphic spring. Who would not want to become a poet in the tradition of Blake, Keats and Coleridge? I’d always known that words were magic: they called me. So I attempted to recreate that wonder in my own work. Western’s poetry magazine, Folio, published my first poems (after juvenilia in The Masonville Gazette andMedway Magnet!) in 1963. As Blake was Ross Woodman’s Muse, so the magical resonance of the spoken poem became mine. SB: You began your career by earning an Honours degree in English Language and Literature from the University of Western Ontario (1966) and then a high school teacher’s certificate, and later completed your M.Ed. You taught English for three years and, since then, have performed your poetry and plays in schools and have given many class workshops for students and teachers. Were you originally thinking of being a teacher for the rest of your working life, or did you always want to do poetry full-time somehow? You have combined the two quite often, in teaching poetry and teaching creativity. PK: A sound poem is for me performed by a single voice, even though Canada fostered marvellous sound poetry groups. I’ve enjoyed pushing textual and aural boundaries, often in participatory performance work, working across a variety of poetic practices to engage the audience. Since I often work in collaboration with musicians, theatre folks, videographers and other multimedia/ visual artists, I looked for a term that was less focussed on a specific literary tradition, even one like Dada. So the sound poem naturally developed into “Sound Operas”: poetic narratives that weave sound, imagery and music in a contemporary counterpoint of many voices and different forms. My writing life is divided between poetry and theatre: Sound Opera jumps that gap and allows for both. Seven of my Sound Operas have been performed at London’s glorious Aeolian Hall. Poetry in performance is the way I spread the word for the arts and inspire action to support them! It’s a great joy to collaborate with artists from different media: they expand my sense of possibility. PK: — –World mythology and travel, as you mention, which fed a fascination with language formation as well as other languages. — Thanks to an eye-opening, ear-opening early association with Coach House Press in the early Seventies, my first works were published. — Other writers. In organizing reading series at A Space in Toronto (1973-75) and later in BC and Ontario, I met the poets and writers I admired and happily I’ve stayed in touch with many through the decades. – Illness gave me time to reflect deeply, and themes on which to reflect. PK: London has welcomed me home as if I hadn’t left, even though after graduating from Western in 1966, I went off to teach English in Timmins, and except for six months in 1981, I didn’t return until 2001. Since moving back to London, I’ve dedicated myself to promoting the arts in my home town. It was a delight to return to Western as Writer-in-Residence. As London’s first Poet Laureate, I was proud to act as ambassador for local arts and artists. My Lit.-on-Air radio show, Gathering Voices, plays on Radio Western alternating Tuesdays 6:30 am/pm: http://chrwradio.ca/content/upcoming-episodes-gathering-voices. tape. Now in morning sun, I’ll plant snapdragons, zinnias. All poems are from the handbound chapbook, From Dream Sequins, which was launched in London April 16 at London Open Mic Poetry Night. Art by Steven McCabe. Lyrical Myrical Press, Toronto, December 2012. Second printing, 2013. Penn Kemp’s poems illustrate the challenge of living in a setting which overwhelms the dream world with strange stimuli. Steven McCabe’s matching ink drawings depict a cathartic process of reimagining the poems in intricate imagery. Gathering Voices, Penn’s lit.-on-air radio show is heard on alternate Tuesdays at 6:30 AM and PM on CHRW, Radio Western, 94.9 FM and online. For upcoming programs and archived shows, see: http://chrwradio.ca/content/upcoming-episodes-gathering-voices. Tuesday, July 15, 2014, 6:30 – 7:00 pm. (R. July 22, 2014, 6:30-7:00 am). Featuring Tanya Evanson’s evanescent CD, Language for Gods, available from Mother Tongue Media. Tanya is an Antiguan-Québécoise interartist poet, performer and director of both Mother Tongue Media and The Banff Centre Spoken Word Program.She has published chapbooks and studio albums of spoken wor.l.d music. A classical semazen or Sufi Whirling Dervish since 2002, she has performed and taught extensively. She parts not one truth from another. See www.mothertonguemedia.com. Tuesday, August 12, 2014, 6:30 – 7:00 pm. (R. August 19, 6:30-7:00 am). Featuring Saskatchewan poet Mari-Lou Rowley’s CD, Cellular Logic. Sound by Roderick Schoolbraid: a Revelations Production. Eco-science poet and interdisciplinary adventurer Mari-Lou Rowleyhas encountered a timber wolf, found over 44 four-leaf clovers, and published nine collections of poetry, most recently Unus Mundus (Anvil). Penn reads several poems from Unus Mundus. Tuesday, August 26, 2014, 6:30 – 7:00 pm. (R. September 2, 2014, 6:30-7:00 am). Featuring Cat Kidd’s Hyena Subpoena Part 1. A formative figure in the Montreal poetry scene since the early 90s, Catherine Kidd is the author of the novel Missing the Ark, the poetry collection Bipolar bear and critically-acclaimed solo show Sea Peach. Her most recent poem series, Hyena Subpoena, was presented as a solo show in 2011, and released as CD/book, May 2014; see catkidd.com/. We’ll hear several of these poems with soundscapes now. Tuesday, September 23, 2014, 6:30 – 7:00 pm. (R. September 30, 2014, 6:30-7:00 am). The show celebrates 2014’s 100,000 Poets for Change event on September 27 world-wide, http://100tpc.org/. Part 2 features a poetry reading celebrating the theme of change that took place on September 29, 20013, at Landon Library. This afternoon celebrated Culture Days across Canada as well. http://chrwradio.ca/content/gathering-voices-100000-poets-change-parts-1-2. Tuesday, October 7, 2014, 6:30 – 7:00 pm. (R. October 14, 6:30-7:00 am). Gathering Voices features the divine Brenda McMorrow in her latest CD, Igniting the Beauty, White Swan Records. With a deep devotion to the unveiling and celebration of our true beings through the power of sound, this beautiful former Londoner travels worldwide to share her unique blend of original folk-inspired melodies, world beats and sacred Indian devotional chants. Brenda sang and composed the music to Penn’s poem that opens each Gathering Voices show. Hear more on http://www.brendamcmorrow.com. Tuesday, November 4, 2014, 6:30 – 7:00 pm. (R. November 11, 2014, 6:30-7:00 am). Helwa! a Sound Opera Experiencing Ancient Egypt , Part 1 by Penn Kemp with The Helwa Ensemble: musicians Mary Ashton and Panayiotis Giannarapis, sound artist Jocelyn Drainie, Egyptologist/poet Daniel Kolos and belly dancer Ishra Blanco. Together we trace the soul’s journey across the nocturnal sky to rebirth the next day: a classical Egyptian journey that the star goddess Nut took nightly. Recorded live at Aeolian Hall (August 2011) and mastered by John Magyar. Helwa! a Sound Opera Experiencing Ancient Egypt (cd) will be available from Pendas Productions, pendas@pennkemp.ca. It is dedicated to the people of Egypt. Listen. Tuesday, December 2, 2014, 6:30-7:00 pm (R. December 9, 2014, 6:30-7:00 am). Featuring Trieze, a CD by Vivian Houle, BC sound artist. As vocalist and improviser, Vivian deconstructs words into sounds on remarkable journeys that include jazz vocals as well. With Peggy Lee (cello), Lisa Miller (piano), Chris Gestrin (analog keyboards) and Jesse Zubot (violin). Tuesday, December 16, 2014 (R. December 23, 2014 6:30-7:00 am). Featuring Cat Kidd’s Hyena Subpoena, Part 2. A formative figure in the Montreal poetry scene since the early 90s, Catherine Kidd is the author of the novel Missing the Ark, the poetry collection Bipolar bear and a critically acclaimed solo show, Sea Peach. Her most recent poem series, Hyena Subpoena, was presented in 2011, and released as CD/book in May 2014; see catkidd.com/. We’ll hear several of these poems with soundscapes now. Writing transports you to places you’ve never seen before. Here’s an inexpensive adventure anyone can take without leaving home. Cobalt, Ontario, home of the Spring Pulse Poetry Festival. Watch for a future blog on this topic. This is how it works. You start here, spend some time on my blog and then you may travel backwards to the Monday, June 30 blog of my writing colleague Marianne Jones. She’s invited several writers to chat about their writing processes and has also provided recommended links for additional blog hopping.